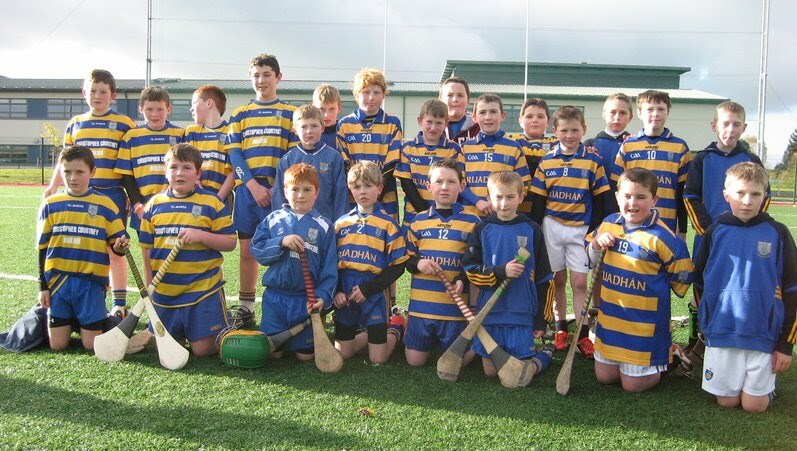 On Saturday, November 10th Ruan Minor Club were invited to take part in the Aindriu O'Heithir memorial tournament at the Ballinteer St Johns’ Club in Rathfarnham, Dublin. 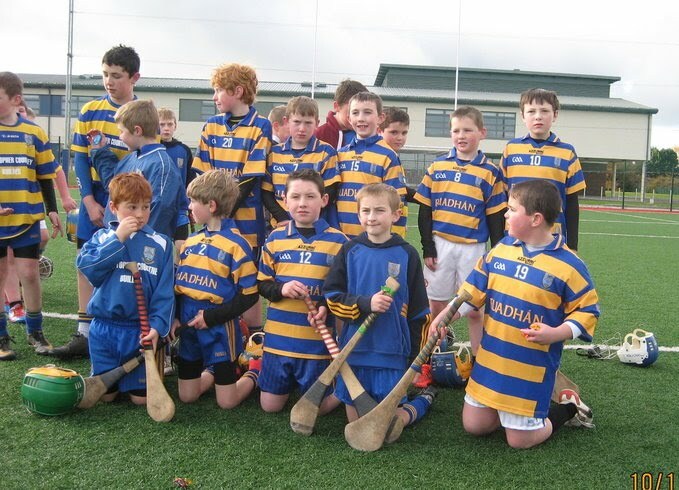 Ruan competed against club sides from Cork, Tyrone and Dublin in this Under 11 tournament. The day involved an early start for Ruan as the panel of 23 players along with team mentors and supporters departed Ruan at 7.00 am. The fare was very competitive in the tournament and Ruan performed well in their group matches. In their opening match Ruan were defeated by the host club in a high scoring encounter. 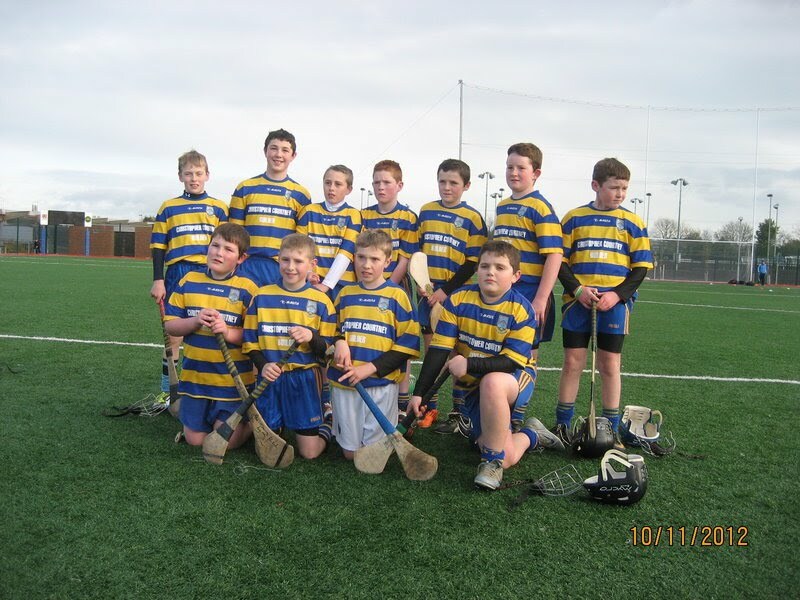 Ruan then overcame the Naomh Olaf Club from Sandyford in their second group game. The overall winners were Ballinteer St Johns. Afterwards the Ruan Under 11 management team presented the Ballinteer St Johns Club Officials with a special commemorative plaque to thank them for the invite to this tournament. Players and mentors from all the clubs were treated to a meal and refreshments by the host club. It is hoped that Ballinteer St Johns will come to Ruan in 2013 where friendships and rivalries will be renewed.